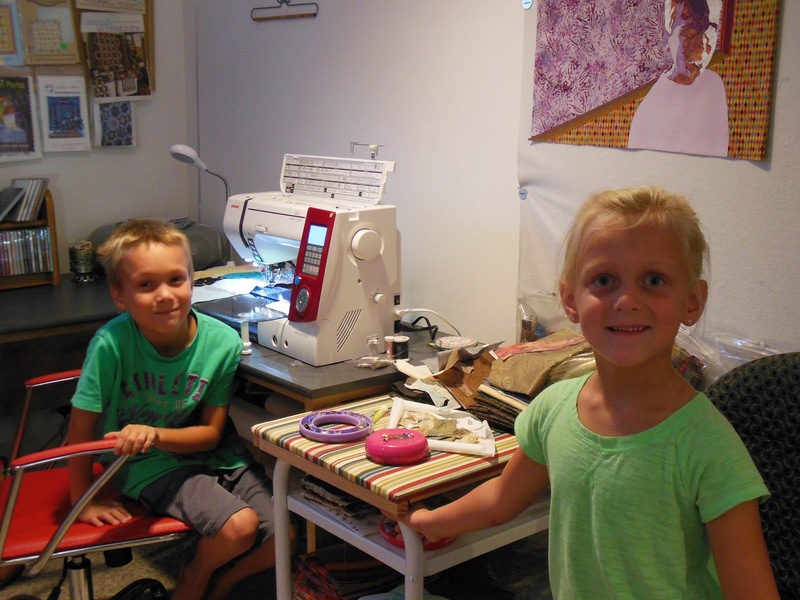 I’m well aware of the societal stereotype that says sewing is “just for girls”… nope, not so! Creativity is for the creatives among us, boys and girls alike. Kids, in fact, are especially creative in all the ways they play – drawing, coloring, building with blocks, dressing up, etc. 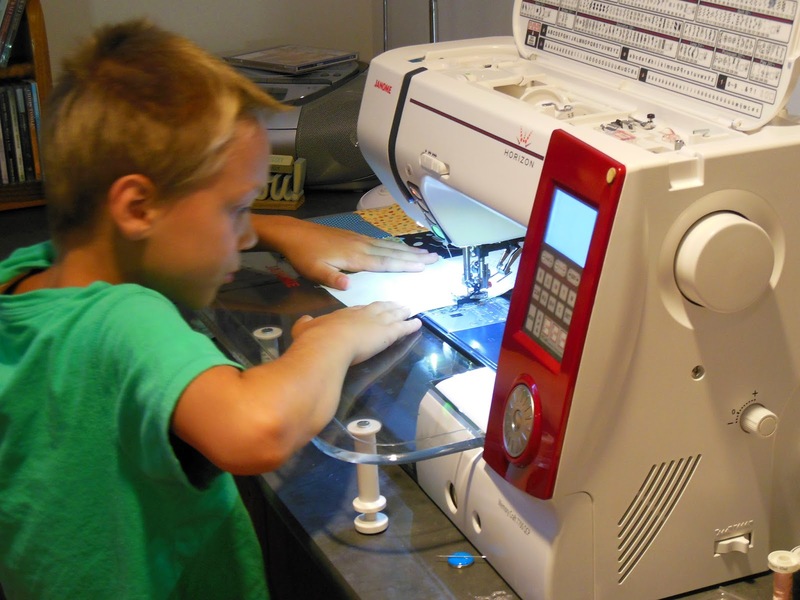 When I first introduced my grandson, Chase, to the fun of the sewing room, there was some initial tolerance from his Grandpa but soon enough occasional comments and disapproving looks took their toll. 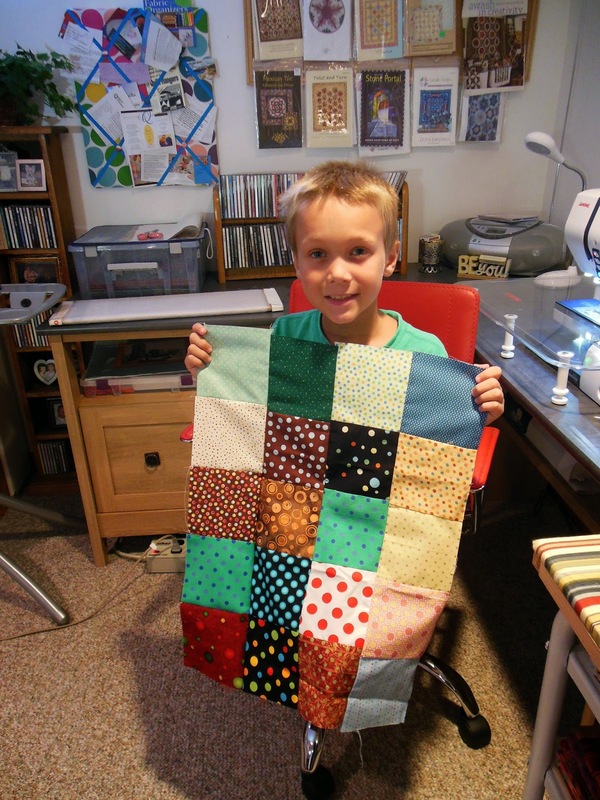 I started to notice Chase’s requests to spend time creating colorful collages of fabric and thread were made only if Grandpa wasn’t home.